This week we’ve been hearing a lot about Apple and the FBI … about how the FBI wants Apple’s help to hack into an encrypted iPhone that belonged to one of the San Bernardino terrorists. Apple has refused to cooperate. The FBI got a court order. Apple still refuses. There are numerous reports explaining the situation, what the FBI is asking, and what Apple is saying about why they won’t cooperate. I found one site that both explains the situation and includes the full text of the judge’s order. 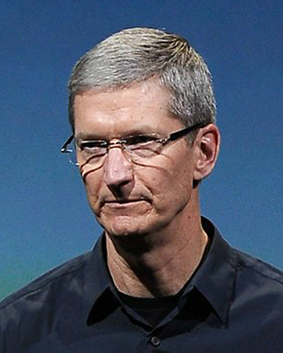 Apple CEO Tim Cook posted his reply to the order Tuesday, making it clear that he has no intention of complying. The FBI wants Apple to create a “backdoor” (ie, software) for the encrypted phone that will allow access to whatever is on it because they can’t get into it themselves (that’s the purpose of encryption). Apple is thought to be capable of writing the necessary software (not always possible, a developer told me), but refuses to do so. The issue here is that the FBI insists they only want access to the one phone. We and Apple know full well that once that backdoor — the key to the kingdom — exists, no iPhone in the world (reportedly more than 5 million) will be safe. The government will have access to all of them … and so will the world’s hackers. The FBI won’t let the phone out of their hands, which negates my idea that they should just give the phone to Apple, let Apple extract or make available all the information, and then give the phone and its contents back to the FBI — after removing their proprietary code and the backdoor. In not proposing or agreeing to that, it seems to me the government might want more than what’s on the one phone. No one knows yet how the story will end. There’s been talk of legislation from Congress, or even an appeal to the Supreme Court (not the best year to go that route). But I feel very strongly about how it should end. The government for years has been pressuring tech companies to create backdoors in their software so officials can access suspected terrorists’ phones (you know, just in case) … along with your phone and mine. No. Just NO. We’ve already witnessed the government’s behavior under the Patriot Act. A secret court using a secret interpretation of the Act, issuing warrants right and left — or not — for spying on terrorists, suspected terrorists, and innocents who might possibly become persons of interest later. You know, spying just in case. Gathering private records, just in case. Extreme, illegal overreach. Over and over again. With no valid reason, but just in case. I back Tim Cook and Apple 100%. It’s one phone, just one, says the FBI, and it wants access. But that backdoor access through one iPhone’s encryption will be a key to all iPhones that the FBI can use whenever it pleases. And we can be sure it will be used. On terrorists’ phones, on Americans’ phones, on your phone and mine. Not only by the FBI but by every hacker in the world who wants to create havoc. Cook is right to refuse. I don’t know what the FBI’s next move will be, but there’s not a doubt in my mind that the FBI should not be given the access they want. Cook should not acquiesce. He should not endanger the security and privacy of 50 million iPhone users just so the FBI can get into one dead terrorist’s cell phone. NOTE, FEBRUARY 19: Apple said today that the password associated with the terrorist’s phone was changed less than 24 hours after the government took possession of the phone. Had that not happened, a backup of the information the government seeks might have been accessible. The FBI claims the password was changed by the San Bernardino Health Department. Apple’s remarks came after the Justice Department said today that Apple’s resistance “appears to be based on its concern for its business model and public brand marketing strategy.” Really? They think Apple needs to worry about brand marketing? NOTE, FEBRUARY 20: The Washington Post reported today that the San Bernardino Health Department changed the phone’s iCloud password at the request of the FBI. My initial reaction was against Apple due to the threat of terrorism, but as I listened more to Apple’s stance, I began to see both sides. And now with paragraph 4 in your post about the FBI, I’m on Apple’s side. Thank you for a very informative post. I don’t know if or for how long Apple can prevail against the US government, but there’s a vital, fundamental principle at stake here that someone should be fighting for. Apple may ultimately lose, but they’ve done us a great service by making this a highly visible, much discussed issue. From the very beginning, I knew that Apple wouldn’t agree… and considering the circumstances… COULDN’T agree. It’s nearly idiotic to believe that software that negates an established operating systems security, could be constrained to a single example of one particular device that used that OS. Good analysis. Haven’t followed this as closely as I probably should so appreciate your thoughts. Your suggestion that Apple might agree to only provide a transcript of the requested material seems appropriate. That would be slightly akin to legitimate telephone tapping that can be authorized through our legal system in certain circumstances. Failing acceptance of a transcript provision or some other compromise that protects broad rights to privacy, I agree Apple should stand firm. The various reports can get pretty technical, but I’ve yet to see one explain why the FBI won’t trust Apple to hack the phone, then return it and its contents, without turning over any software secrets, codes, backdoors, keys, etc. Then there’s the larger longterm consideration. If Apple knuckles under here, it will establish a legal precedent for govt. to do this to other tech companies in the future, weakening their defenses as they fight to protect our privacy. Why would I or any other person want to trust our Government….oh I know I know…The Kennedy Assassination, the certainty of “Weapons of mass destruction” ,the truthfulness of the Benghazi report,the desire of our Government to fix our severely broken immigration system;and these are just to name a few! If I thought about it I’m sure there would be many areas in which I trust the government. But when it comes to invading the privacy of Americans, especially since 9/11, the government has gone nuts. Its overreach has been exposed time and time again. I can’t imagine helping the govt. spy on us even more. Until this flap I didn’t know that I could permanently lose everything on my iPhone just by entering the wrong passcode ten times. That’s a little scary, although not a lot because my passcode is a random number from my deep past and as much a part of me as a number can be. But anyway, it’s hard for me, a non-programmer, to see how that can be defeated, but apparently it can. There is a larger view, I think, to this privacy thing. To me, it comes down to something very basic, i.e., should there be in a civilized world such a thing as absolute privacy? All societies, including tribal ones, are by definition interdependent. We interact socially with other people and in the process give up a measure of privacy. We learn things about one another. So privacy is something we approach asymptotically, but never reach perfectly. The best example I can think of is how entering into employment involves surrendering quite a bit of privacy. Your boss can monitor your phone calls at work and can even make your social interactions a factor in pay and promotions, and I can see how that’s necessary to running a business. So, privacy not being an absolute, what is at issue in the Apple dust-up is the extent of risk to privacy as compared to society’s risk from terrorism and crime, a classic example, I submit, of a necessary balance that will never be perfect. I think it can only be fairly adjudicated through the legal process and it ultimately comes down to subjective opinion. Maybe SCOTUS will decide. As I understand it, the 10-times=erasure feature is new in the latest iPhone OS, so you might not have it. Earlier versions didn’t have it. I, for one, would be looking for my other options long before I’d failed as many as ten times to enter the correct passcode. True, we give up some amount of privacy in many, many situations, but we do so willingly and knowingly. We know there’s no privacy in a public place. We must be told if our bosses monitor our phone calls (or should assume it, in any case). We know there’s no real privacy on social media. But I would argue that given the amount of personal information many people keep on their cell phones (I try not to), the content of those phones must be as secure as possible. There are areas of our lives that the federal government has absolutely no right to see, particularly if it does so surreptitiously, with or without a warrant but certainly without our knowledge and consent. If the feds think someone is a terrorist, they can approach him, warrant in hand, and try to make their case. But to demand that a third party, like Apple, hack that terrorist’s phone and with it the phones of 5 million other non-terrorist users of similar phones, is completely beyond the pale. Privacy is a fundamental right, IMO. A Fourth Amendment right. I don’t think we surrender that right just because there are some evil people in the world. I hope Tim Cook and Apple take this all the way to the Supreme Court (and that we have a proper 9-judge court in place to decide the issue). And let’s not forget, encryption also protects the phones of our highest government and military officials. Weakening the safeguards on one phone potentially weakens the safeguards on all those phones (including those used by the FBI and DoJ officials who are hounding Apple). It is hard for me to believe that our Government does not have ONE capable person in its employment to hack into this iconic phone. We put people on the moon,decode the human genome by computer in hours instead of weeks or months,see solar systems light years away from planet earth. We have been informed that we have the capability to control or alter the computer controlled functions of machinery by remote control located in other countries…and to tell me our own government computer “nerds” can’t hack into an Apple phone…GO APPLE! 🙂 Oh, I believe it. Remember, our government bureaucracy is made up mostly of “old white guys.” The best hackers seem to be young and foreign. Even discounting those stereotypes, I believe our best and brightest are generally not working for the government and the government, precisely because it is such a bloated bureaucracy, lags years behind in its technology and equipment. Remember, the specially encrypted phone they gave Obama (and wanted to give Hillary) was a Blackberry. And it appears it was the govt that tried to hack the terrorist’s phone and changed the passcode (see note at end of post). They screwed up their attempt. Otherwise though, I’m going to be the fly in the soup – Apple should cooperate. There’s a curious dichotomy in the way (many) Americans see “privacy.” They want privacy from the government, but seemingly couldn’t care less about privacy from corporations – like Google and APPLE – who feel free to track our movements and to use data on us in any way they care to. Personally, I’m more concerned about the corporations and would prefer to see less sanctimonious profiteering posturing from the likes of Apple execs. By the way the latest on this I heard is that John McAfee insists, if given the phone, he would “guarantee” to hack into it, and adds that there are many, many hackers around who could do the same. I’m sure eventually some workaround will be reached. I don’t like corporate spying any more than government spying. That’s one reason I avoid Facebook and am wary about most internet activity. But at least the corporations that track us do so mostly for marketing purposes (and a lot of that tracking can be disabled). I don’t feel as threatened by that as I do by an all-powerful government that spies on citizens (with no good reason) because they might be plotting something now or in the future. Bear in mind that if Apple creates the backdoor the government wants, it will weaken your protection against not only the government but against anyone who wants to hack your device. Personally I don’t want anyone weakening the various forms of security that exist on my computers and phone. I heard about McAfee’s claim. If he’s as good as he claims, it seems to me the FBI would quickly turn to him for help. Makes you wonder, then, why the govt. would rather pursue a very public case against Apple. Freedom in all things, we can all of us each choose which scary monster we sense under the bed at night. Yep. And I don’t want the feds under my bed. PGP (Pretty Good Protection) software is free. So far as I know, nobody (including The Feds) can decrypt it either. Just a little trivia entertainment. It’s been years since I’ve seen PGP mentioned. Didn’t realize it was still around. I’ve no idea what sort of encryption is on my Android phone. Need to look into that. Meanwhile, I’ve read Apple engineers are working on a totally new encryption system that will make it impossible (supposedly) for the government to crack iPhones. Gotta wonder if/when they’d have started working on that if the FBI and DoJ hadn’t instigated the current furor. There’s a lot of talk about corporate oversight being equivalent to government oversight. It isn’t. Government oversight (hacking, recording phone calls, etc.) is INVOLUNTARY whereas allowing ourselves to be recorded, listened to, hacked, etc. by a corporate enterprise is a voluntary choice we willingly make. FREE PGP ENCRYPTION SOFTWARE is apparently still available. There is absolutely a difference. And yet people still need to be reminded that in installing all those apps on their phones and other devices, they have agreed to share much of their information with the corporations who provide those apps. If you don’t like corporate spying, don’t use your devices. Or uninstall the apps. That PGP link looks badly out of date. The downloads provided might still work, but personally I’d look for something more up to date. I forgot to mention… the right to privacy predates the constitution. The 4th amendment merely prohibits the government from compromising that right without due process. Interesting point. Not sure I’ve seen it mentioned before. I’ve heard some people recently declaring that there’s nothing to fear and Apple should help the FBI because “we have the Fourth Amendment to protect us.” I may be naive about a lot of things, but I’ve read enough to know that’s no longer true (if it ever was).